Boerne, Texas… (May 17, 2018) A new middle school under construction at Highway 46 East and FM 3351 near Bergheim is being named after standout Boerne student and Air Force Captain Mark “Tyler” Voss. 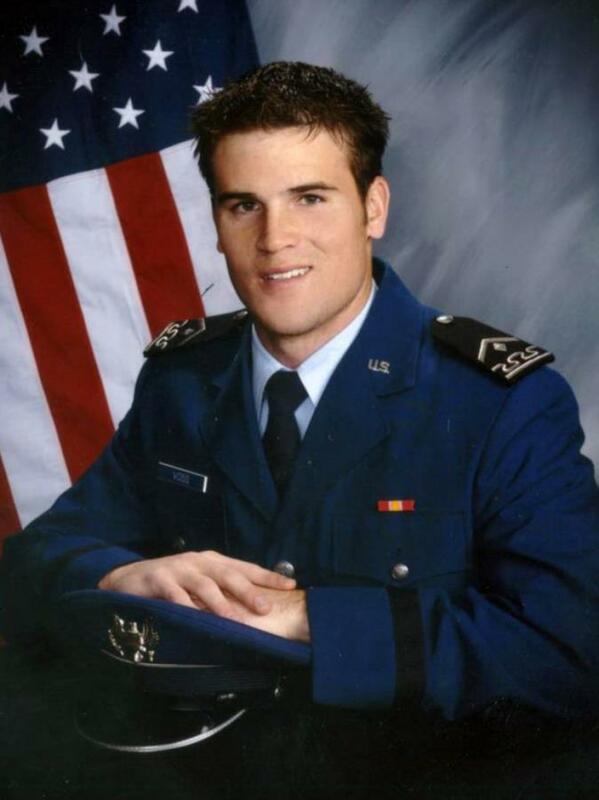 Voss was a 2004 Boerne High School graduate, gifted pilot, and exceptional young man. He graduated from the United States Air Force Academy in 2008 and received his wings in 2010. To honor Voss and his two crewmates, co-pilot Captain Victoria Pickney, and boom operator, Technical Sergeant Herman Mackey III, a memorial is being designed and will be installed in the new middle Capt. Mark Tyler Voss Middle School, scheduled to open in fall 2019 near Bergheim in eastern Kendall County. Renowned sculptor Jerry McKenna, a Boerne resident and retired Air Force officer, has been commissioned to create a replica of the Air Force pilot’s wings insignia with a six feet wing span. This sculpted metal piece is part of a larger mixed media environment depicting a scene of Captain Voss’ plane, the open sky, and the American flag. It will be installed in a high-traffic area near the main entrance to the gymnasium. Pictured above is a rendering of the memorial for the three airmen. There are many levels to donate; for more information about sponsorship opportunities, contact Craig “Griz” Adams, project coordinator, at 210-912-6410 or email griz@gvtc.com. Donors will be recognized via a plaque near the memorial. All funds raised will be applied to the cost of the memorial, with additional funds going to support equipment and spaces dedicated to the arts at the new school. “We are honored that our wonderful community has chosen to name the new middle school as a lasting tribute to Tyler and his military service,” said Marcy Voss, Captain Voss’ mother. 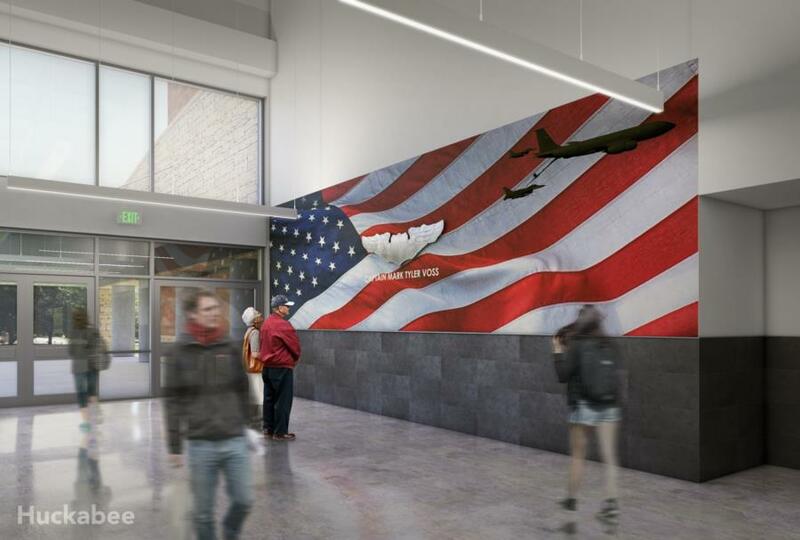 “It is our hope that the wings, flag, and plane silhouette of the new memorial will inspire service and love of country in all who pass by it,” she added. “It has been a privilege to work with Boerne ISD and the Voss family to design this tribute to Captain Voss. “It’s through their shared vision that his story will take root and inspire the next generation,” Rodriguez said.